Comments: They are used for massed display in flower beds, in containers, and some varieties are excellent in hanging baskets. Petunias are one of the best spring and summer flowering annuals and can be found growing in a zone of the country at any season of the year. Flowers may be single, semi-double or double in form. This is an excellent double flowering variety. They generally do not flower, or even live, when temperature is very high. Varieties are available in every color except orange. 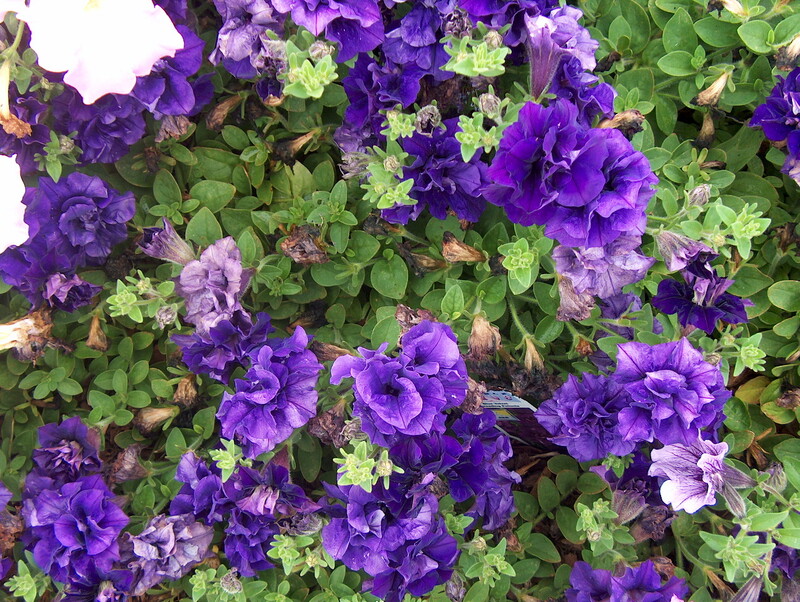 The Wave series is one of the heavier flowering and long-lived of the petunia selections.